The once-mighty NDP, led by rookie leader Dwain Lingenfelter, is poised for a humiliating defeat. There is a degree of panic in the party leadership and it is illustrated in their platform. Sensing little chance of winning, the NDP has resorted to old left policies in a desperate attempt to shore up support from unions. 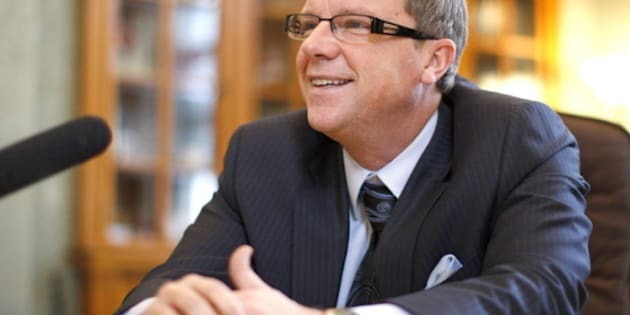 The Saskatchewan election race is less than a week old, yet few pundits doubt that the outcome will be a landslide victory for Premier Brad Wall . His Saskatchewan Party is polling in the 60 per cent range, and he is the most popular premier in the country. Given the state of the economy, this shouldn't be surprising. Not long ago, Saskatchewan was a breeding ground for future Albertans. The province was mired in economic stagnation resulting from decades of bad policy decisions. There simply wasn't a future for young people in Saskatchewan. But thanks to some sensible economic reforms under Roy Romanow's NDP government in the mid-'90s, and reasonable economic stewardship from the past two premiers, Saskatchewan's economy is the envy of most of the world. The province has had the fastest growing economy in the country since 2008, a 4 per cent unemployment rate, and Regina and Saskatoon are two of the three fastest growing cities nationwide. Things are pretty good in Saskatchewan, and people want more of the same. That is exactly what Premier Wall is counting on. The mood isn't quite so cheery on the opposition side. The once-mighty NDP, led by rookie leader Dwain Lingenfelter, is poised for a humiliating defeat. Polls suggest the party has lost up to 10 per cent of its support since the last election, when it won 20 of 58 seats. If the prediction holds up, the party could end up with less than 10 MLAs. There is a degree of panic in the party leadership and it is illustrated in their platform. Competitive two-way elections generally lead to a race to the centre, where each party tries to align as closely as possible to the median voter without alienating their support base. We saw this recently in the Ontario and Manitoba elections. Sensing little chance of winning over the majority of voters, the NDP has resorted to old left policies in a desperate attempt to shore up support from unions, who have been waging an advertising war against the Saskatchewan Party for months. The two most notable of these policies are rent control, and royalty increases on potash. After a century of evidence against rent control, and the recent royalty boondoggle in Alberta, one can only assume that these are policies the NDP wouldn't be dredging out if they believed they had a chance of winning. After all, no one wants to run for re-election after sabotaging an economic boom. Just ask recently retired Alberta Premier Ed Stelmach. The Saskatchewan Party's platform likely won't contain any major policy initiatives. After all, people are happy with the status quo. The party's message is straightforward. They are "moving Saskatchewan forward," implying the NDP would go backwards. Despite the resonance of that message, the party clearly believes that it has some room to grow support among key demographics. It had led them to announce a number of micro-targeted policies. In the first week they've pledged to create new post-secondary scholarship and grant programs; extend a recreation tax credit; and introduce a first-time home buyers tax credit, which would lead to income tax savings of up to $1,100. While these new announcements seem benign, if moderately beneficial, the home buyers tax credit is a terribly misguided policy. Aside from being unfair to renters, home ownership tax credits also lead to higher purchasing prices since home buyers have more money to bid. Home values decline after the credits expire. 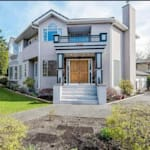 Coming out of a recession caused largely by government policies that inflated home prices in the United States, Premier Wall should pay heed even if the credit is small enough that it likely won't do much harm. The most unfortunate part of this election is the state of the Liberal Party. The party has been in decline for years, and hasn't had a seat since 1999. The odds are against them winning a seat in this election, especially given that leader Ryan Bater will be excluded from the televised leadership debate. This is a shame, given that the Liberals have come up with some sound policy ideas. Unlike the two major parties, the Liberals are committed to auditing the province's crown corporations to determine which are providing value for money. Bater has already indicated that he is strongly in favour of retail liquor privatization. Though his party has no chance of forming government, Bater has much to contribute to the public debate. In contrast to the Manitoba and Ontario elections, this election is providing voters with a few competing visions. While the outcome seems certain at this point, Saskatchewanians will no doubt be entertained with a vigorous debate over the future of the province. Steve Lafleur is a policy analyst with the Frontier Centre for Public Policy (www.fcpp.org).